As part of its state budget package presented today, the Palaszczuk government in Queensland is investing A$180 million in a push to get industry, universities and government collaborating to create new jobs and drive investment in knowledge-based sectors of the state’s economy. The Advance Queensland program proposes to build upon the research base created by previous state Labor governments. This announcement readily adopts the ideas and language of the Smart State-era of the Beattie and Bligh governments, when funding of research infrastructure and innovation initiatives was a clear focus. This is a noteworthy development, after the former Newman LNP government dropped the rhetoric and well-publicised commitment of that period. This led to a perceived loss of momentum in science, research and innovation in Queensland. […] a comprehensive suite of reforms that will create jobs now, and jobs for the future. This cleverly pitches Advance Queensland as a long-term plan (akin to the Newman government’s 30-year Queensland Plan) requiring the faith and sustained support of the research and industry sectors. It should also appeal to voters who until now have not seen much in the way of the Labor government’s economic blueprint. 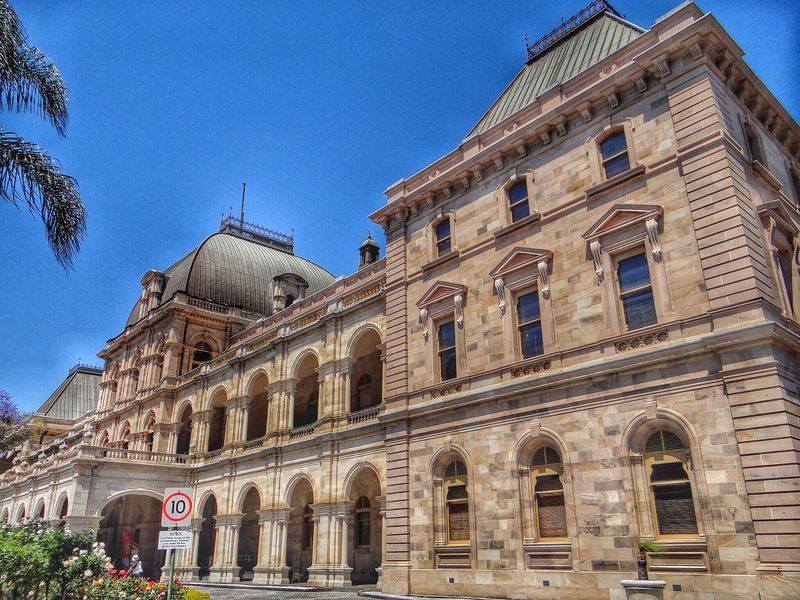 Significantly, Premier Annastacia Palaszczuk called Advance Queensland the core of both the budget and the government’s agenda. Regardless of budget confines, this program seems to be a go-ahead plan and apparently has the Premier’s strong backing. All relevant ministers were present at the program’s launch and (in more shades of Beattie’s Smart State agenda) it was framed as a “whole of government” exercise in jobs growth and economic development. After several years of impressive spending on visionary research infrastructure under the Beattie and Bligh governments, this new program noticeably steers clear of committing to further investment in facilities and other such blunt policy levers. This is a wise move given the financial constraints in which Treasurer Curtis Pitt’s first budget is being framed, with apparently little in the state’s coffers for large infrastructure projects. But Advance Queensland picks up where Bligh’s later focus on people, ideas and products left off. It promises A$50 million to attract and retain world-class research talent and fund increased science, technology, engineering and mathematics (STEM) programs in schools. Importantly, the new agenda takes some of those earlier Smart State initiatives to the next step through a “major focus on commercialisation”. It not only aims to encourage research-industry links, but promote small business start-ups and attract commercial investment through a A$76 million Business Development Fund. This may sound to some like the government picking winners. But business investment in research and development (R&D) and private sector engagement with researchers and universities – the drivers of innovation – have historically been quite low by international standards in Queensland, as elsewhere in Australia. Being short of what Palaszczuk called a “strong innovation and entrepreneurial culture”, it is important and desirable that government plays a facilitating role in filling some of that gap. The progression of this government’s focus from “bricks to brains to business” appears to be a move in the right direction. It has been argued by successive Chief Scientists and other research leaders that the critical next phase in the development of a sustainable innovation system must see an environment where cutting-edge research is more readily translated into commercially viable products. The A$180 million program stays within the minority government’s economic and political means and within the framework of Labor’s modest first budget. But it sets up a platform for “playing the long game” in terms of hopefully bipartisan government support. Importantly, it indicates that the government doesn’t want to, and nor should it, do this by itself. The research and private sector communities have to play their part too. Pointedly, the program’s launch was held at the Queensland University of Technology, in the heart of the Brisbane CBD’s government-university-corporate nexus. Key representatives of those sectors were present, most of whom appeared well pleased that science, research and innovation is back in the political limelight. As such, the program puts out positive signals but doesn’t extend the government too much in the short term. Plans are modest and perhaps seen by some as insufficient, but there’s still enough commitment. It expanded from a A$50 million pre-election proposal to a A$180 million budget package to make a serious statement of intent toward research funding and creation of jobs of the future. Even a modest amount of funding as in this program can have a positive multiplier effect once fed into the innovation ecosystem and capitalised upon by external partners. As QUT’s Vice Chancellor, Peter Coaldrake, told 612 ABC Brisbane local radio, while the funding amount might not be of the same magnitude as seen in the Beattie period, universities and research institutions will still welcome the availability of money. They’ll also welcome the clear signal this program sends that the state government is willing to visibly back the research and innovation sectors. Such a move picks up some of the slack left by the federal government’s proposed backing away from research and infrastructure spending, amid continued uncertainty over higher education funding. Chris Salisbury is Lecturer at The University of Queensland.